Home & Office Junk Removal Dartford DA | Quality Property Care Ltd.
Commercial and residential junk removal is the most optimal solution for loft clearance, office clearance, house clearance, waste disposal and builders waste removal, garden waste removal and all clearance instances with big junk amount available. To find more details, get in touch with us, please on 020 3746 4287. You can speak to our polite client support representatives! If you’ve finished gardening and have waste that you cannot get rid of of yourself, worry not, we’ve got your back. We can remove flowers and plants, litter, garden weeds, plastic bags and liners, twigs, leaves, small branches,, animal bedding or straw, Christmas trees, plants, pots and plant containers,, glass cuttings soil and turf as well as hedges or hedge clippings. 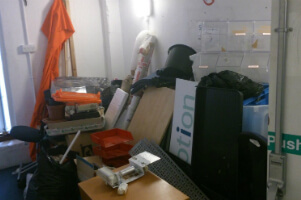 All of this is disposed safely, you will be informed if there are extra expenses associated with certain items we are throwing out, before we get started the action of removal. We are also competent at removing garden and organic waste starting with grass trimmings and cuttings, turf and soil, hedges and hedge trimmings, garden weeds, plastic liners or bags, plants and flowers, small branches, leaves, twigs, litter, straw or animal bedding, Christmas trees and decorations, plant pots and a lot more. There are special collection points where we will put these materials, however, there are special fees that you might need to handle. 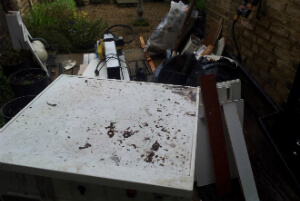 Call us 020 3746 4287 anytime you would like professional junk and rubbish removal from your residence. We work fast and efficiently, dealing with loads of all sizes from small to large ones. Call us at any time of the day or evening, you will find proper information on our pricing, details about the removal and so forth. Our team is out there free of cost, with booking form opportunity. Call up and save not only time, but also cash and efforts.